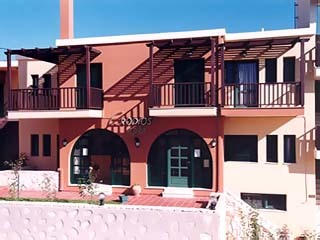 Erodios Apartments is a complex of 12 furnished apartments, located at the seaside village Kalives, only 18km from Chania. 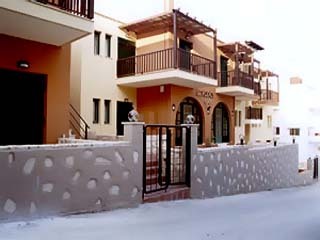 Erodios apartments are just a 5 minute walk from the lovely Sandy Beach of Kalives and 50 meters away from the village square, where you can find a Bank, General Tourist Office, a Post Office and Car Rentals. You can also have a stroll to the Local Shops, if you want to buy souvenirs, handicrafts or traditional cretan products, like pure olive oil, herbs, honey and wine. If you prefer eating in and for your basic necessities there are Mini-markets close by. 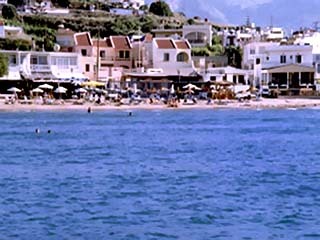 However, should you decide to eat out, there is a variety of Restaurants and traditional Taverns within walking distance, where you can savor fresh fish and delicious dishes of the cretan cuisine. Card-phone, Fax and Internet access are at your disposal at the reception. Linens and towels are provided. Maid service every 2 days. 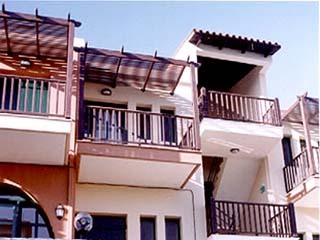 The complex consists of 12 fully furnished A class apartments, which are available with one or two separate bedrooms. 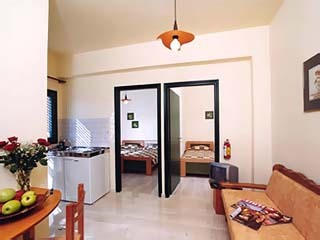 They have lounge area, fully equipped kitchenette (with two-ring hobs, refrigerator and cooking utensils), private bathroom and spacious balconies with view. They can accommodate an extra person if required. 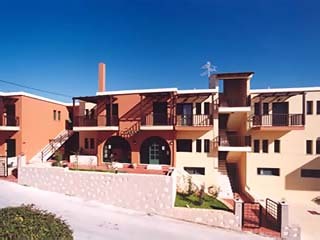 All of the apartments feature air-condition, heating for the winter and color TV. Linens and towels are provided. Maid service every two days. You can find card-phone, fax and internet access at the reception. 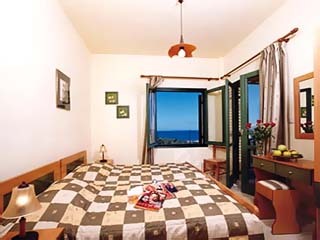 Erodios apartments operate under the license of the Greek National Tourism Organization. 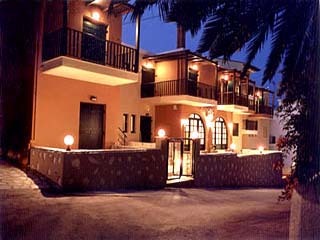 Erodios Apartments are situated in the heart of the picturesque seaside village Kalives. 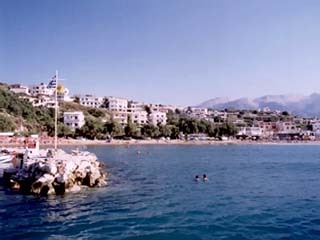 They are in a quiet neighbourhood, just a 5 minute walk from the lovely sandy beach of Kalives and 50 meters away from the village square. 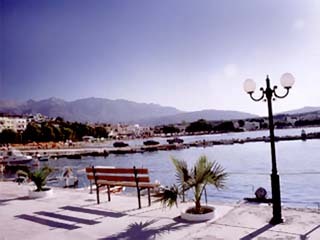 Mini-markets, restaurants and taverns are within walking distance.